Viruses are in competition with the host for the cellular translation machinery, prompting some viruses to inhibit host cell gene expression. Preventing the expression of host proteins is also a strategy to counteract the antiviral response . 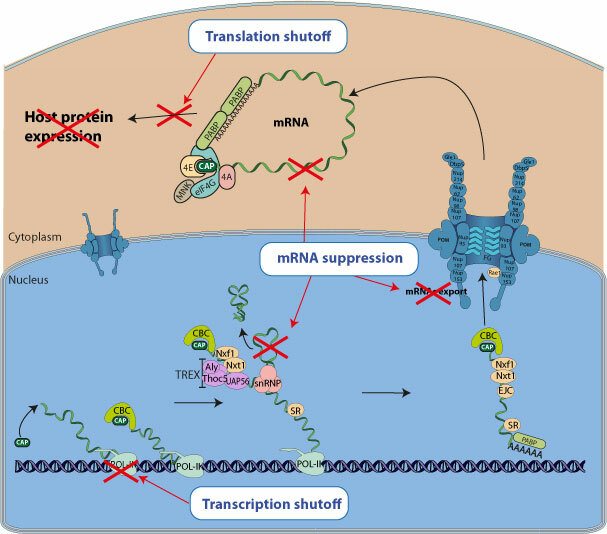 Some viruses encode proteins which prevent host gene expression by blocking host transcription, suppressing mRNAs or translation. Virus-induced host gene shutoff in animals and plants.